In a few short weeks, the holiday season will be upon us and, with it, all of the yummy baked treats that we look forward to all year long. The treats this time of year are typically more special because they tend to be the ones that take a little longer to make. We’re talking about baklava, time-intensive cookies like linzers, and my favorite, biscotti. 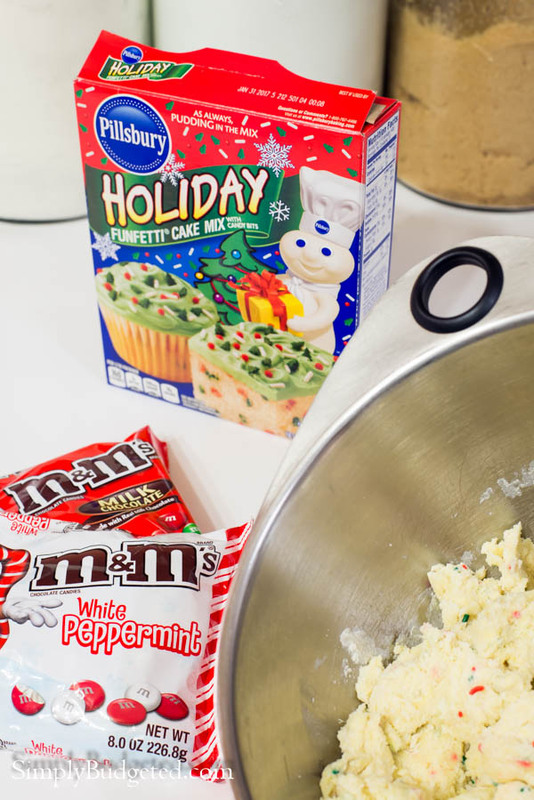 This year, I’ve decided to make a little better use of my time by leaning on M&M’s® and Pillsbury™ Baking products for shortcuts to my favorite holiday treats that are still big on flavor! Biscotti literally translates to “twice cooked” and refers to a specific type of Italian cookie. To make biscotti, you basically bake one large loaf of a cookie and, after it cools for a bit, slice it up and bake it again. The double baking process results in cookies that are very dry, perfect for giving as holiday gifts or for dipping in hot chocolate (more on that later!). Making my life a little easier means grabbing a box of Pillsbury™ Funfetti® Holiday Cake Mix and a couple of bags of M&M’s®. To make the biscotti base, simply combine the Pillsbury™ Funfetti®, 1/4 cup all purpose flour, 1 tbsp canola oil, and 2 eggs in a large mixing bowl. You can stir to get started, but you’ll want to get your hands into this so that the dough all comes together properly. 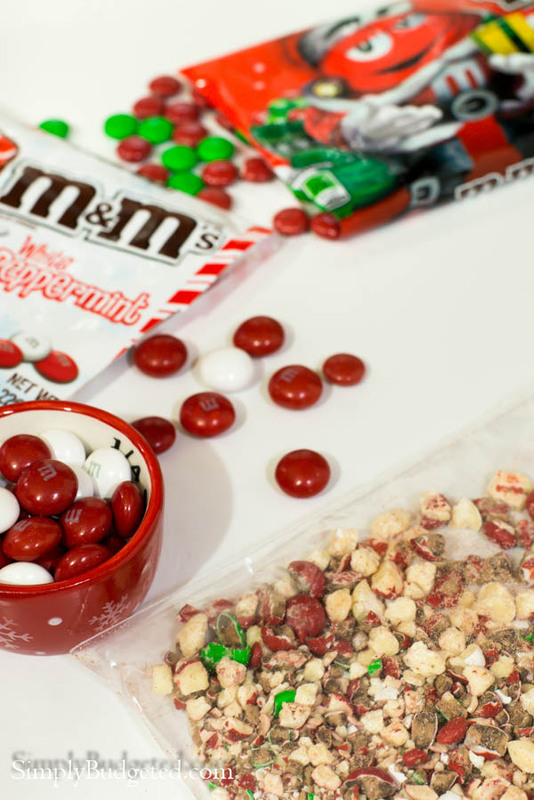 Once you have the dough mixed, crush 1/4 cup each of M&M’s® White Peppermint and M&M’s® Holiday Milk Chocolate candies in a zip top bag. The combination of chocolate and peppermint just screams holiday! 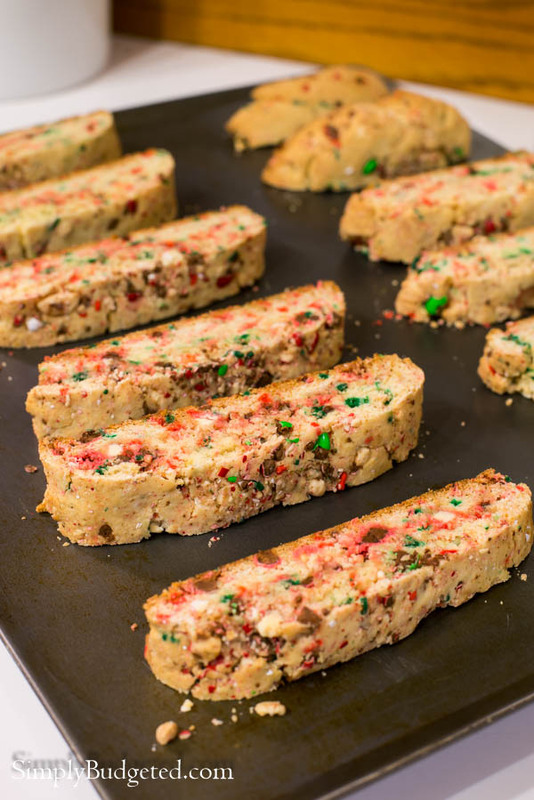 Incorporate the crushed candy into the dough and form into a 3-inch by 12-inch loaf on a cookie sheet. Bake at 350 for 25-30 minutes or until golden brown. Remove from the oven and cool for 15 minutes before slicing and placing back on the cookie sheet. Bake another 10-12 minutes or until the edges are a deep golden brown. Cool on the sheet pan for 5 minutes and remove to a cooling rack to cool completely, about 30 minutes. My next shortcut takes these yummy cookies over the top! Take a container of Pillsbury™ Funfetti® Holiday Vanilla Flavored Frosting and remove the lid and all of the foil seal. Place the frosting into the microwave for 15-30 seconds, or until it is pourable. 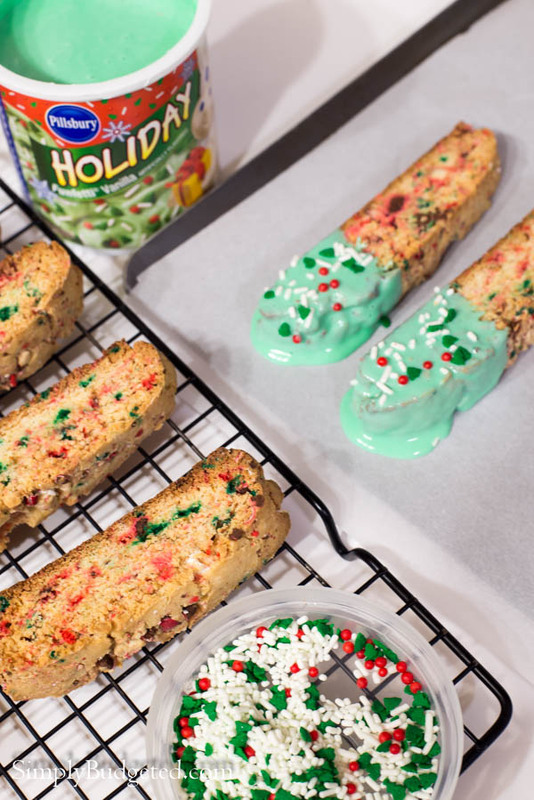 Dip your cooled biscotti into the melted frosting and allow the excess to drip off. 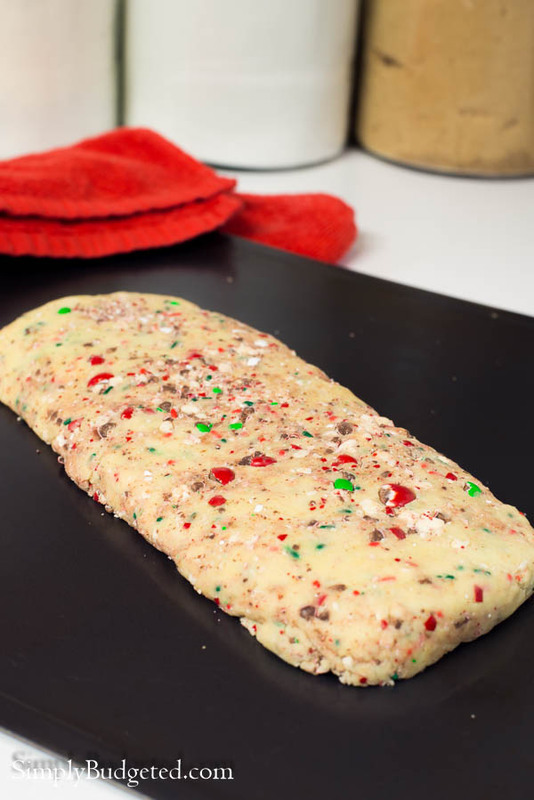 Set onto a sheet of wax paper and top with the Pillsbury™ Funfetti® Holiday sprinkles. Let cool for an hour or until the icing has set. In a large mixing bowl, combine cake mix, flour, oil, and eggs. Mix in crushed candies. Form dough into a 12-inch x 3-inch rectangle on an ungreased sheet pan. Bake at 350 for 25-30 minutes, or until golden brown. Cool on the sheet pan on a cooling rack for 15 minutes. Cut rectangle into 12 equal slices. Place cut side down onto a sheet pan and bake for 10-12 minutes. Cool on the sheet pan for 5 minutes, transfer to a cooling rack, and cool completely, about 30 minutes. Remove lid and foil liner from the frosting container. Melt frosting in the microwave for 15-30 seconds or until pourable. Dip cooled biscotti into the frosting. Drain the excess frosting and place onto a sheet of wax paper. Top with sprinkles and let rest until icing is set, 30 minutes to an hour. The perfect accompaniment to holiday biscotti is a nice warm cup of hot chocolate. You could go all out for this, but, for ease, I just grab a couple of instant hot chocolate packages and mix them into some Great Value milk that I’ve warmed up in the microwave. 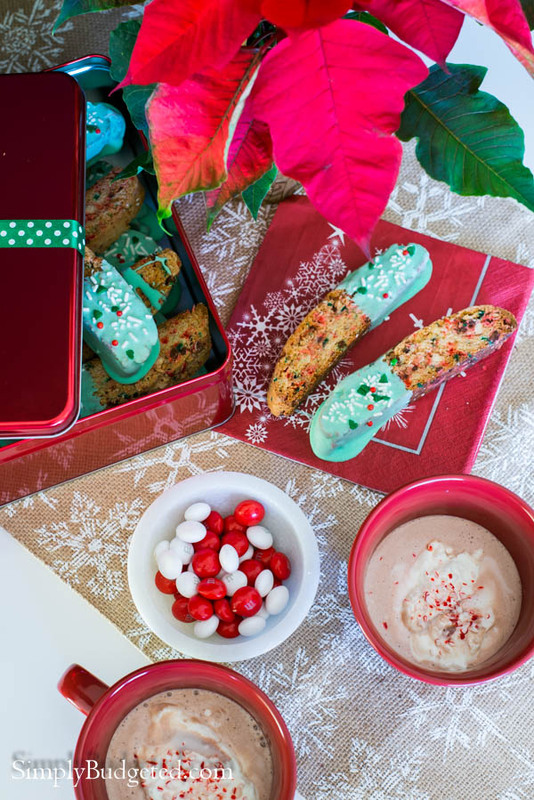 Top with some whipped cream and crushed peppermint candies for a perfect cup of hot chocolate for dipping your biscotti over conversation with a friend or loved one. While you’re talking, maybe you can think about 46.5 million Americans who rely on Feeding America food banks each year. Right in my very own community, there are kids and families who receive those benefits. 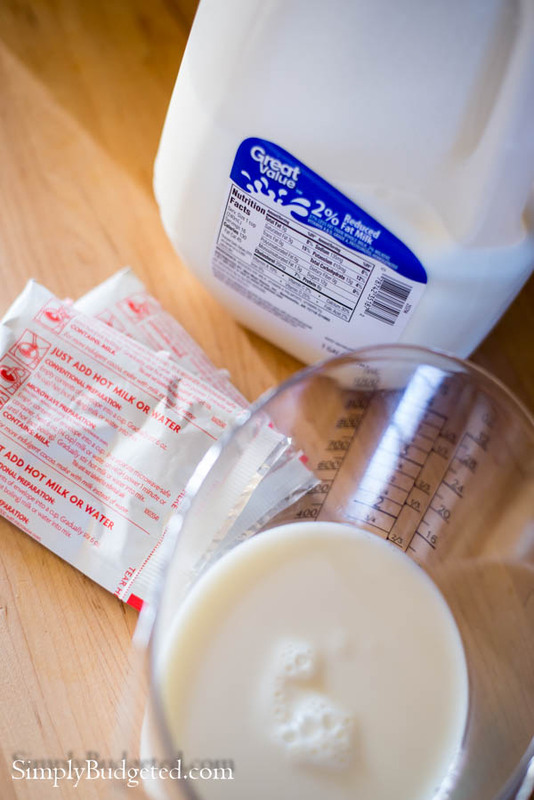 Unfortunately, while many people may donate canned or boxed goods to local food banks, perishable goods like milk are not donated, even though they are in high demand. The Great American Milk Drive is striving to make sure that families have all of the essential nutrients that milk provides. You can head over to pourmilklove.com to make a small donation or just head over to Walmart and pick up two 9.4 oz or larger bags of M&M’s® and The Great American Milk Drive will donate up to a gallon of milk to the drive. 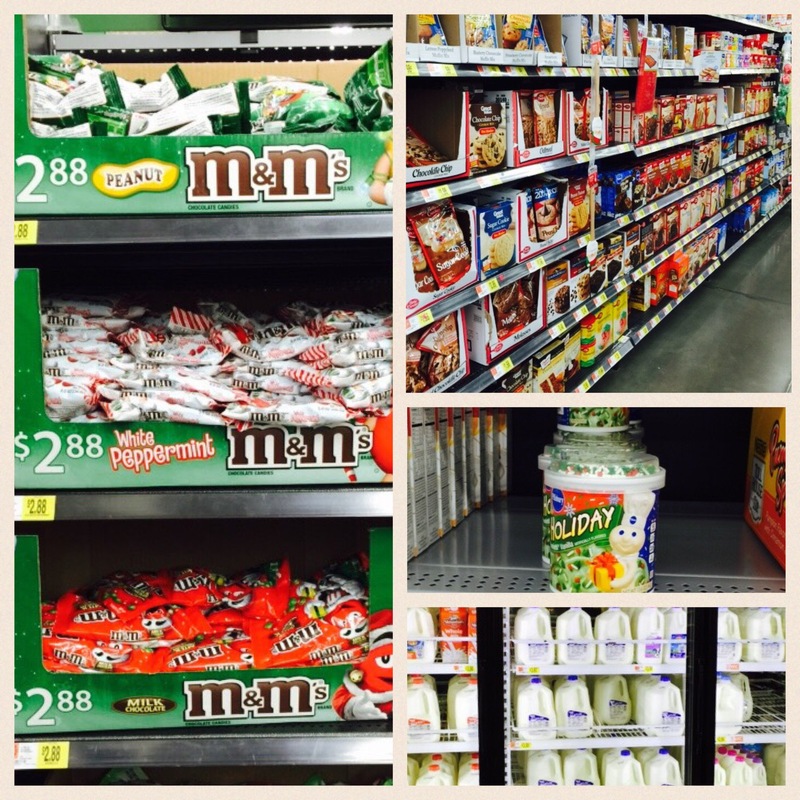 Hurry and you can save $1.00 on ANY TWO (2) M&M’s® Chocolate Candies, 8 oz or larger with this coupon when you are shopping at Walmart! Can you bake up some love with M&M’s® this holiday season? Make sure you look for more holiday baking recipes. Which one is your favorite? I love biscotti but weirdly have never made it. Your recipe looks pretty easy so I think I’ll give it a try.